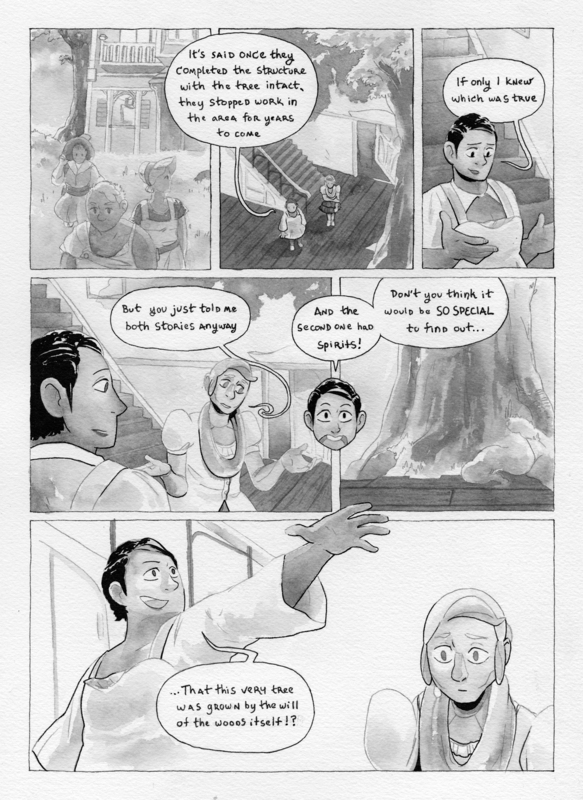 If you're reading this because you saw that I just posted a new page and are like "wait, this is in the middle of some pages," then you are cool and observant, and also absolutely in the right place. After some rewriting, I decided that this page (and the one after it) come before the most recent story page in "Only Echoes." After that it will be back to the present. That's the power of love. Also! In the fall, I did a talk at Donut JS in Portland on the importance of robot characters that explore transgender and non-binary roles in fiction (and, increasingly, real life). And now you can watch it on YouTube!